Pekka Heikkinen is a Finnish architect and Professor of Wood Architecture at Aalto University. Heikkinen graduated as an architect from Helsinki University of Technology in 1991 and has taught at Aalto University since 1995. Currently Heikkinen is the director of Department of Architecture. His expertise is wood construction and eco-efficient building design. Heikkinen is considered to be Finland's leading expert in wood construction. 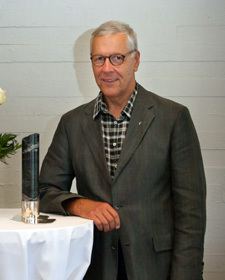 He has been awarded in several architectural competitions. In 2011, Heikkinen won the prestigious Schweighofer Innovation Preis with TU Munich, NTNU Trondheim and Aalto University's joint TES Energy Facade research project. In June 2016, Heikkinen was the lead organizer of the International Forum Wood Building Nordic conference in Espoo, Otaniemi. The conference, as a part of the German International Forum Holzbau concept, is the main event of wood construction in the Nordic countries. It gathered almost 400 construction industry researchers, architects, developers, authorities and industry and trade representatives to Espoo. Heikkinen is the first Espoo Ambassador elected from the Aalto University School of Arts, Design and Architecture. Pekka Heikkinen's research and development projects, publications and design projects can be explored from Heikkinen's CV / Portfolio. Associate Professor Jaana Sorvari from Aalto University's School of Engineering has been chosen as Espoo Ambassador 2016. Even though Professor Sorvari is still a newcomer in the business of organizing international conferences, she has shown enthusiasm and courage to take up the challenge. This Autumn Sorvari is coordinating the 7th Joint Nordic Meeting on Remediation of Contaminated Sites, NORDROCS 2016, which will be held at Aalto University Otaniemi Campus in Espoo. Conference is expected to attract around 200 researchers and experts from Nordic countries and beyond to Otaniemi. In addition to NORDROCS, Sorvari is interested to invite the corresponding European event to Finland in the near future. Professor of Nuclear Engineering, Filip Tuomisto from Aalto University School of Science is chosen as Espoo Ambassador 2015. The decision was based in Tuomisto’s active work in national and international scientific research groups and organizations.Professor Tuomisto has been involved in a number of program and organizing committees of international congresses, and thus have had a positive impact for the role of Espoo and Finland within the international scientific communities. In summer 2015 Tuomisto was the chairman of 28th International Conference on Defects in Semiconductors conference held at Aalto University Otaniemi Campus in Espoo. Conference attracted more than 300 industry leaders to Otaniemi. Filip Tuomisto, Doctor of Science (Tech. ), stepped into his position as a Professor of Nuclear Engineering at the School of Science on 1st May 2012. Professor Tuomisto, 36, has a background in material physics and researching the structure of materials at their atomic level. As a professor, one of his key areas of research is examination and prediction of the resistance to radiation of the energy materials. He is also the head of the Positron Physics research group. Filip Tuomisto feels excited about his new position and award. "EspooAmbassador Award is a great honor and I'm going to encourage my research fellows to organize conferences in Espoo. In particular here at the Aalto University Otaniemi campus, but why not elsewhere, for example in our stunning Nuuksio National Park." Ari Sihvola, professor of electromagnetics from Aalto University School of Electrical Engineering is Espoo Ambassador 2014. The decision was based in Sihvola’s active work in national and international scientific organizations. Professor Sihvola has been involved in a number of program and organizing committees of international scientific congresses, and thus have had a positive impact for the role of Espoo and Finland within the international scientific communities. Professor Sihvola has succesfully organized international conferences in Espoo bringing hundreds of international researchers to the city, most recently in 2009. Sihvola is a professor of electromagnetics at Aalto University with interest in electromagnetic theory, complex media, materials modeling, remote sensing, and radar applications. He is currently the Chairman of the Finnish National Committee of the International Union of Radio Science (URSI) and a fellow in IEEE (Institute of Electrical and Electronics Engineers). Radio science in Finland has a long history and the country has been an active and constructive collaborator within URSI. In 2011, Sihvolas’ group bid to organise and host the URSI Electromagnetic Theory Symposium (EMTS) 2016 in Espoo, Finland. Espoo won the bid thanks to the compelling and cost-effective presentation which was competing againts Versailles, France. EMTS Conference 2016 is expected to attract over 300 delegates. 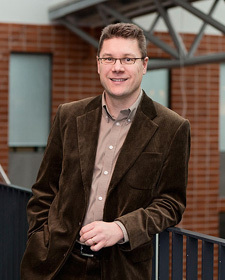 Born in Helsinki, Finland in 1971, Dr. Tapio Lokki has studied acoustics, audio signal processing, and computer science at the Helsinki University of Technology (TKK) and received a M.Sc. degree in electrical engineering in 1997 and a D.Sc. (Tech.) degree in computer science and engineering in 2002. At present Dr. Lokki is an Associate Professor (tenured) with the Department of Media Technology at Aalto University. Dr. Lokki leads the virtual acoustics team jointly with Prof. Lauri Savioja. Their research aims to create novel objective and subjective ways to evaluate concert hall acoustics. In addition, the team develops physically-based room acoustics modeling methods to obtain authentic auralizations of performance spaces. The team also studies augmented reality audio and eyes-free user interfaces. Dr. Lokki has published over 35 journal articles and over 100 conference papers. He is a member of the editorial board of Acta Acustica united with Acustica. Dr. Lokki is a member of the Acoustical Society of America, the Audio Engineering Society, the IEEE Computer Society, and Siggraph, Helsinki, Finland. In addition, he is currently the President of the Acoustical Society of Finland. In addition to research and teaching work Lokki has been actively engaged in organizing conferences in Espoo and other parts of Finland. 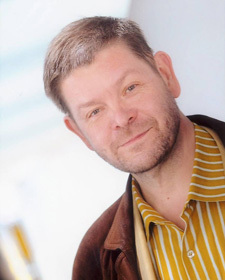 Tapio Lokki has been involved in AES Conferences on Spatial Audio in 2014, 2012 and 2002 , as well as in the organization of several national Acoustics Days around the country. Professor Lokki has also received international recognition. 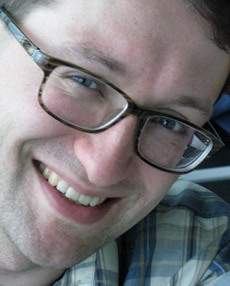 Lokki received the International Commission for Acoustics (ICA) Early Career Award in 2013. The award is presented triennially to an individual who is relatively early in his/her professional career, who has contributed substantially, through published papers, to the advancement of theoretical or applied acoustics or both and who has been active in the affairs of Acoustics through his/her National Society, other National Society(ies), Regional or International organizations. The award was given to professor Lokki for outstanding contributions to room acoustics, and in particular for the novel subjective and objective assessment methods of concert halls. value of the prize is also illustrated by the fact that it is called also as the Nobel Prize of acoustics. 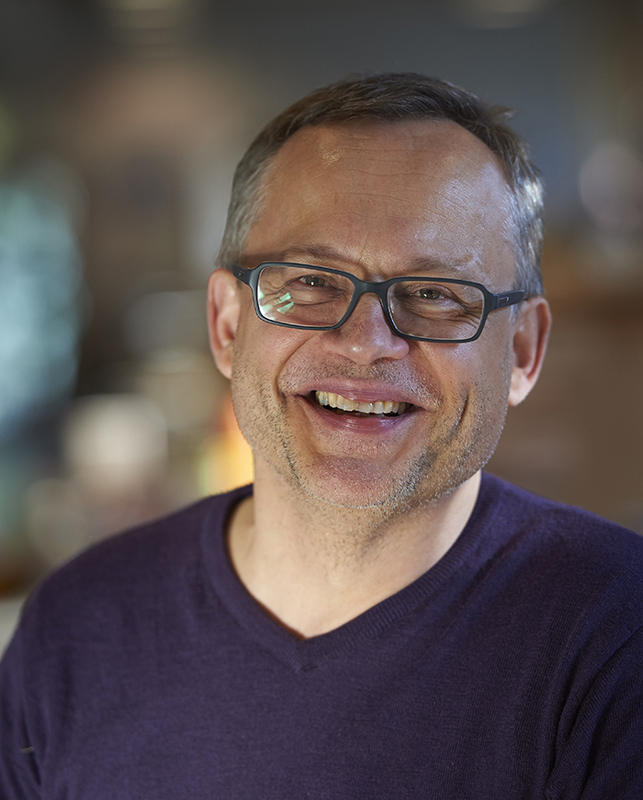 Jukka Tuhkuri (born in 1960), head of the Department of Applied Mechanics and professor of strength theory at Aalto University School of Engineering is the Espoo Ambassador 2012. Tuhkuri has carried out all his degrees, Licentiate of Science and Doctor of Science in Mechanical Engineering from the former Helsinki University of Technology, TKK, which is now part of the Aalto University. Today Tuhkuri's main scientific research focuses on glaciology, or the study of ice. Tuhkuri has and continues to be an active member of several international organizations and scientific committees of many conferences on ice mechanics, arctic engineering and discrete element method. 2012-2013 Tuhkuri helds the position of President of the International Committee of POAC (International Conference on Port and Ocean Engineering under Arctic Conditions), association of which conference he is bringing for the second time in Espoo in 2013. Tuhkuri has been nominated also as the Teacher of the year 2003 at TKK, nominated by the Student Union of TKK (today Aalto University). 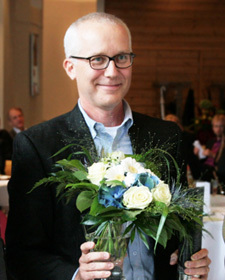 In 2011 when Professor Olli Simula was awarded as the Espoo Ambassador 2011, he was the head of the Department of Information and Computer Science in Aalto University, School of Science. In 2013, Simula retired. 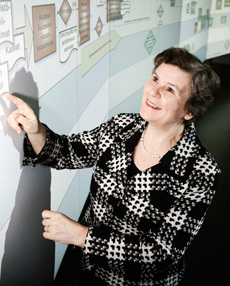 As professor of Computer Science Simula had been working since 1997. Between years 1989 and 1996 he worked in Helsinki University of Technology as Associate Professor in Computer Science and Engineering. During his career Simula has been inviting many international conferences to Finland. 13 of which came to Finland 10 were held in Espoo. In addition Simula has worked in 33 local scientific or organising committees of international conferences (5 of which was held in Espoo). Olli Simula is also highly appreaciated within his scientifical field and it is shown by the multiple presentations and requested speeches plus wide list of scientifical publications and articles. Espoo Ambassador 2011 -award was given to Olli Simula during EspooMenu -lunch in Dipoli Congress Centre in 25th August.2011. 2011 was the first time when EspooMenu -lunch was organised. After that the lunch has been annual event where the next Ambassador is announced. "I’m a Professon Riitta Smeds, founder and head of the Entreprise Simulation Laboratory SimLab at the Aalto University School of Science. My research and teaching focuses on business and service processes in digital networks. In SimLab we study collaboration in networks of organisations. SimLab visualizes and simulates inter-organisational processe and facilitates process co-creation workshops together with the people who collaborate in the processes. We video all workshops and conduct interviews and surveys - accumulating an enormous amount of rich research data." 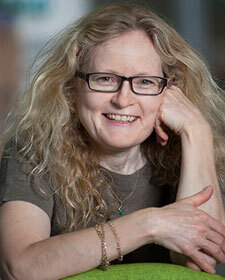 Read the whole interview of Riitta Smeds from Aalto University Magazine, issue 06 2013. Smeds leads the Special Interest Group on Experimental Interactive Learning in Industrial Management which is one of IFIP´s research group. The International Federation for Information Processing (IFIP) is an umbrella organization for national societies working in the field of information technology. Smeds is also a board member in a research network of Cicero Learning. In 2009, geophysical Emeritus Professor Markku Peltoniemi from Helsinki University of Technology (now Aalto University) was elected as the first Espoo Ambassador in the spring of 2009. Peltoniemi was given the name of Hononary EspooAmbassador. At the time of Peltoniemi received the task to promote Espoo as a leading congress destination telling how the city of Espoo can support and help in organizing international congresses. During all his career Peltoniemi has participated actively in international associations holding different board and committee memberships. Due his important positions Peltoniemi has been able to contribute in bringing congresses to Espoo and Finland. Besides that Markku Peltoniemi has also playd important role in congress organiser in Finland. 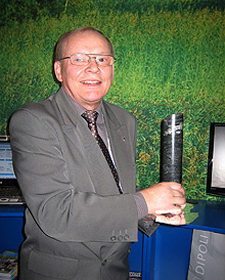 In 2010, the European Association of Geoscientists and Engineers EAGE awarded Peltoniemi as a Honorary membership. The prize argument was prof. Peltoniemi's long-term operation in EAGE's various positions of trust and leadership positions. The European Association of Geoscientists and Engineers (EAGE) is a global professional, non-profit association for geoscientists and engineers with around 18,000 members worldwide. Prof. Peltoniemi is the first person in Finland to receive this award.